Did these reviewers see the same movie I did? My wife and I recently had a baby (although admittedly she did most of the work in that department), but nevertheless I’ve not had much time to watch movies lately, let alone blog. I do like writing, though, so I’m going to try to write shorter posts to this site and my others in the coming weeks. 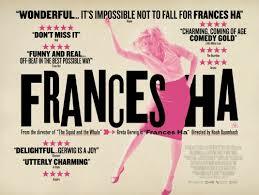 I wanted to talk about the movie I was watching on the night when our son was born: Frances Ha. I titled this review “You Just Don’t Get It, Do You?” based on a Dr. 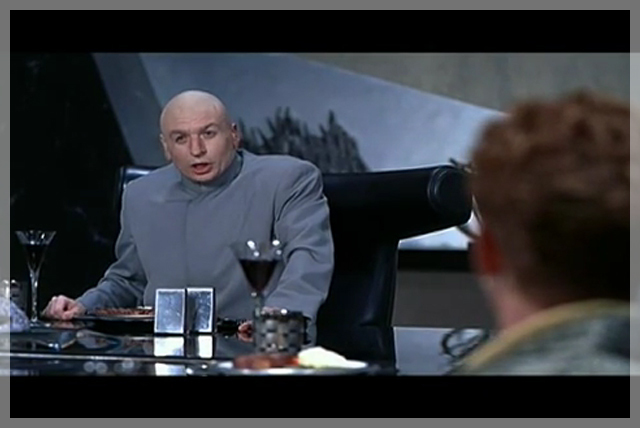 Evil quote from Austin Powers. I just don’t get this movie. I saw it was on Netflix and it had high ratings, and it seemed like something I’d like. But I didn’t. It’s about a girl named Frances who moves apartments a few times in New York, and then she doesn’t really get a dancing job that she was trying out for. That’s about it. The characters seemed like they’d be OK people, and I might want to chat with them for a few minutes in real life, but I demand more from my movies. What I Didn’t Get: Why this movie was made. It doesn’t really seem to have any lessons, and even though I guess you could call it a coming of age story, it doesn’t even really seem like that happened, either. Who Might Get It: Maybe people who live in New York? Why I Probably Should Have Known Better: I see now that writer Noah Baumbach was also involved with The Squid and the Whale, another movie I didn’t like (I got it confused with The Diving Bell and the Butterfly, so that’s my own dumb fault). However, he was also involved with some Wes Anderson films that I love, so I’m not sure why his movies are so hard for me to pin down. Anyhow, has anyone else seen this? If so, did you get it? Why didn’t I? This entry was posted in Review, Ryan and tagged Don't Get, Movie, Review, Ryan, Sitzman by Ryan. Bookmark the permalink.